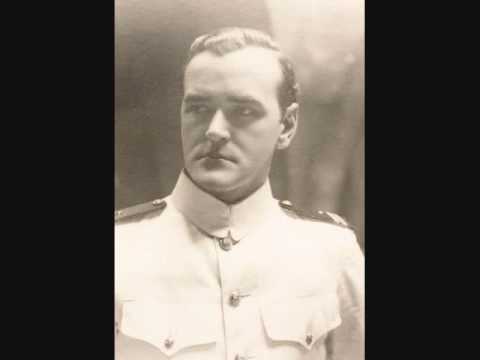 Romanian Herlea (1927), was actually born Herle, and had one of my favourite operatic voices. He began his studies in Bucharest, and was soon invited to Rome, to study with Giorgio Favarett. As a young singer, he won competitions in Prague , Geneva, and Brussels. He returned to Bucharest, to become the leading baritone of the city’s opera house. His roles encompassed all of the Italian repertoire. As Germont Pere, in Berlin. In those days, it was not easy to go beyond the iron curtain, but his voice was so magnificent that he was courted by alla Scala, Barcelona, Covent Garden, Vienna, Berlin, Salzburg, Paris, and of course Moscow. He was a member of the MET roster for three years. His characterizations were never of great insight, but is voice was velvety, plangeant, powerful, gleaming, and endearing all at once. 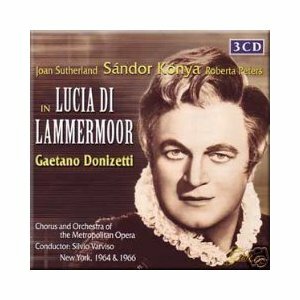 He also had both wonderful legato (for Verdi) and fleeting coloratura (for Barbiere, which he performed over 550 times). Herlea recorded quite a bit; virtually the entire Italian canon. However, with a few exceptions (notably a Traviata with Virginia Zeani) most of his studio recordings were on the Electrecord label, which (while none of the recordings are entirely weak) was unable to recruit singers of his calibre. Many of his recordings have been re-released on budget labels. Fortunately, we also have a live Met Lucia of his, partnered by none other than Sutherland, and a Don Carlo Posa alongside Corelli’s Carlo. Unfortuanately, Herlea never sang with Callas. A Tosca, was planned, but Callas withdrew, and Herlea’s Scarpia was partnered by Caballe’s (worthy) Tosca. But what a partnership Callas-Herlea would have been! 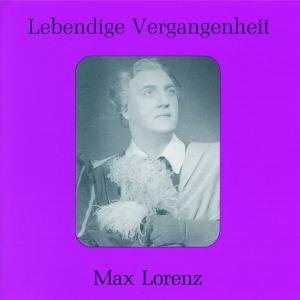 Lorenz (1901-1975) was primarily a Wagner tenor, who was as troubled as the times in which he lived. 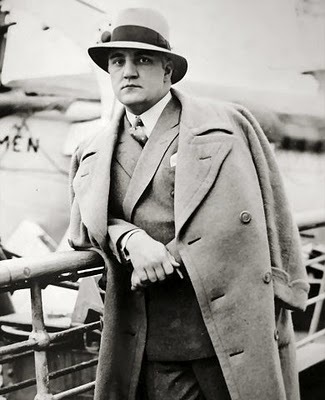 Born Max Sülzenfuß, he rose to become the world’s great opera houses’ Wagner helden-tenor par excellence. His roles encompassed all the Wagner tenor characters, from Tristan, Walther, and Rienzi, to Siegmund, Lohengrin, and Tannhauser. He is however, best remembered for his unsurpassed and deservedly legendary Siegfried. He also graced the stage as a very powerful Otello. Lorenz’s rise to fame coincided with Hitler’s rise to power. As Hitler was a great supporter of Bayreuth and the teutonic themes of Wagner’s librettos, Lorenz became Germany’s ideal of a “german” tenor. Lorenz’ voice was innate with immediacy, warmth of tone, effortless top notes, and indeed what one might call “german” timbre. He was also a very affecting and passionate actor. He also sang at the Met, Berlin, Dresden, Covent Garden, and Vienna. He was however, quite troubled, and at times popularity sat uncomfortably with him. Although he was married to Lotte Appel, he was a homosexual, and was at one point on trial because of his behavior. 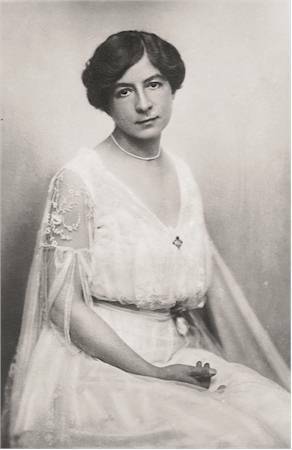 This prompted Hitler to disallow his future at Bayreuth; however, Winifred Wagner interceded, as she believed Bayreuth to be unthinkable without Lorenz. Throughout WWII, Lorenz had to be extremely careful and protective of Lotte, who was Jewish. He successfully and dramatically negotiated her protection, and Göring spared Lorenz and Lotte the fateful calamities that other Jews and/or homosexuals endured. After the War, Lorenz quickly became Austrian, distancing himself from what had been the Third Reich. 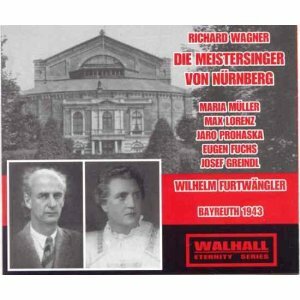 His recording legacy includes re-issues by the “Lebendige Vergangenheit” label, as well as a fantastic live Die Meistersinger von Nürnberg from the Bayreuth 1943 season. Jobin (1906-1974) was the world’s tenor of choice for the francophone repertoire in the 1930’s and 40’s. Here he is as Pinkerton. He debut in the high-baritone role of Tybalt, in Gounod’s “Romeo & Juliette” at the Paris Opera in 1930. This was a grand success, and he swiftly graduated to leading tenor roles. These included Faust, des Grieux, Romeo, Don Jose, Pelleas, Admetus, Hoffman, Gerald, Werther, Julien, Vasco da Gama, Tonio, Samson, and the Berlioz character namesake, Raoul. Here he is LIVE at the Met, in Manon. Jobin had an easy top and a rich timbre. His mellifluous French style was impeccable. He was a member of the Metropolitan Opera roster for a decade. While Jobin did not gravitate toward the famous German, Italian, or British opera houses, he forged a healthy relationship with the Teatro Colon,Teatro Municipal in Rio de Janeiro, and Mexico City. His wife, Anna Malefant, though not of his calibre, was a soprano, and sometimes sang at his side. 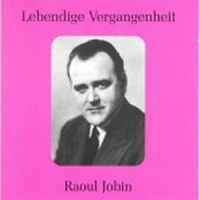 Jobin also was quite successful in a few non-French roles, notably Canio, Pinkerton, Lohengrin, Walther, and Cavaradossi. His was a voice that had mettle, yet was also entirely moldable to the graceful lines that permeate French music. He was always lyric at the core, but able to produce dramatic impetus. Here is a soundbite of the final moments of Carmen from his studio recording; Solange Michel is his Carmen, and Cluytens conducts. 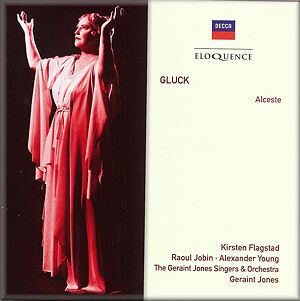 His recording legacy includes a Romeo, an unrivalled Hoffmann, Admetus (alongside Flagstad’s Alceste! ), a live Met Opera Fille du Regiment, and a very authentic Don Jose. Preiser has pressed a disc of Jobin gems. 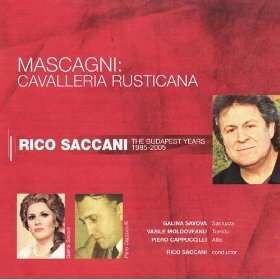 This Romanian tenor, born in Kostanza (1935) debut at age 21; then quickly graced opera stages around the world with a solid and very exciting spinto voice. His international breakthrough as a voice to be reckoned with came 1972, as Edgardo in Hamburg. This performance prompted him to be invited to Munich, Berlin, Vienna, Chicago, London, Zurich, Monte Carlo, Rome, Dresden, and the MET. 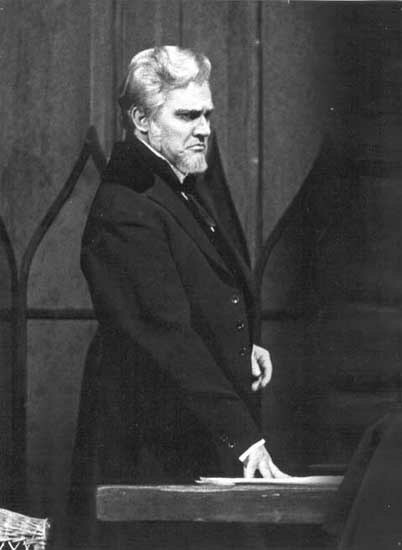 He sang the thankless role of Don Carlo, opposite Renata Scotto’s Elisabetta, to immense acclaim. His repertoire of choice was the Italian fach: Turridu, the Duke, Alfredo, Rodolfo, des Grieux, Calaf, Cavaradossi, et al. He’s definitely another one of those singers, of which can safely be said that today (keep in mind, he sang alongside Domingo, Pavarotti, and Carreras), he would be a superstar. Incidentally, Moldoveanu, is also the name of the tallest peak in Romania, amid the Făgăraş Mountains. 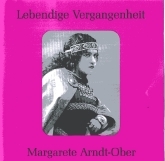 Arndt-Ober (1885–1971) was born in the United States to German immigrants. Hers was an alto/mezzo voice with measureless dramatic intensity, but nuance applied when called for; a very rich voice, indeed. 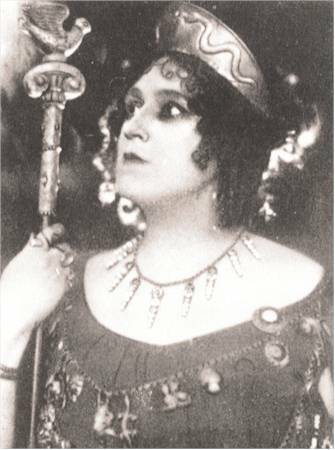 Her roles encompassed the Italian roles (Eboli, Azucena, Amneris –opposite Caruso-, Laura), as well as Fricka, Ortrud, Klytemnaestra, Brangaene, Carmen, and Octavian. 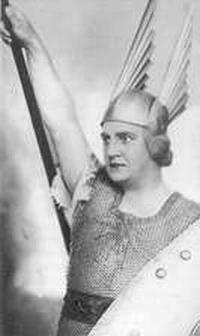 She was closely associated with the Berlin State Opera, the Met, and later also the Zoppot festival. Her career took a political turn with the outbreak of WWI, when she was dropped by the NY roster. Caruso apparently called her the “German She-devil”. We can still hear her remarkable voice, on remnants of a number of recordings made on the HMV, Odeon, Parlophon, Pathé, and Victor labels. Toscanini admired he greatly. Listen to her wonderfully incisive Eboli (in German). I am not sure who sings the Tebaldo. 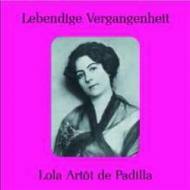 Artôt de Padilla (1880 – 1933), is today far, far too neglected. In fact, she was at her zenith, considered to be one of the finest and most innovative lyric sopranos. She sang with great beauty of tone, and combined sweetness with fiery commitment. Both her parents were opera singers; for the most part, it was her mother who taught her. The house at which she was most at home, was Berlin’s Komische Oper. Her roles encompassed the Mozart Countess, Violetta, Mignon, Marie (Bartered Bride), Charlotte, Michaela, and Oscar. 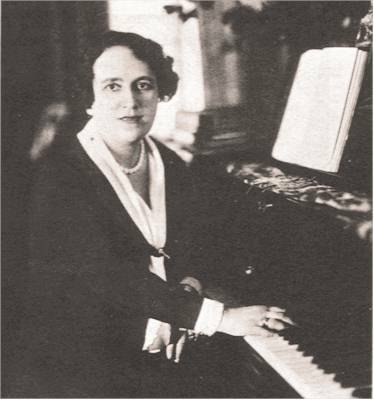 However, she is probably best known for having created Strauss’s Octavian (! ), Juliet in Delius’ A Village Romeo and Juliet and the Gaensemagd in Humperdinck’s Koenigskinder. Strauss himself, thought of her as the best Octavian he had ever heard. 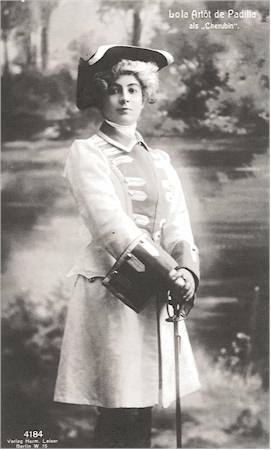 She was also the most famous Cherubino of her time. She was particularly popular in Scandinavia. Lola was a stage name; her real name was Dolores. Here she is as Cherubino, followed by a stylish rendition of the first act duet from La Traviata with Bjoern Talen. 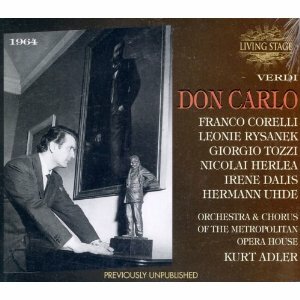 Corelli (8 April 1921 – 29 October 2003), affectionately dubbed the “Prince of Tenors”, was in the 50’s, and 60’s, one of the most exciting and virile voices around. Still today, his ferocity, intensity, trumpet like sound, and ability to scale down his voice, combine to be remembered as a voice like no other. Combined with an electrifying voice and dreamy looks, he was popular at all the world’s greatest opera houses. He sang the entire canon of Italian opera, but rang out best in dramatic roles. Corelli never had an exclusive contract, and recorded for all of the major labels. His best recordings include a Turandot with Nilsson and Scotto, a Serafin Norma with Callas, Ludwig, and Zaccaria, and a Karajan Carmen, with Price, Merrill, and Freni. Corelli had a lisp, and was suffered notoriously from severe stage fright. His wife Loretta di Lelio, also an opera singer, traveled with him to most of his engagements. Incidentally, I have his autograph.